It is difficult to mention Blek le Rat without mentioning Banksy, the faceless guerrilla art icon who has made a major impact on the mainstream art community with stenciled works of graffiti. 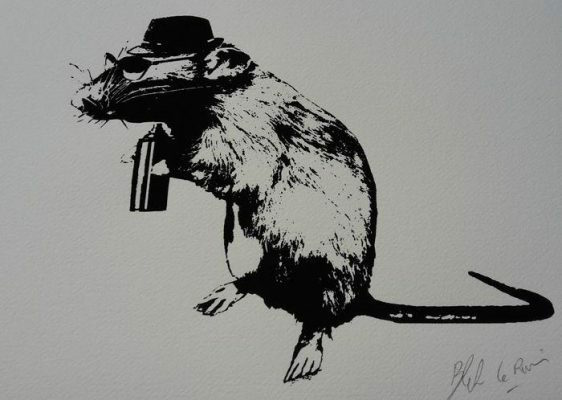 Critics and street artists often note the similarities in Blek le Rat and Banksy’s respective styles. Blek certainly started creating street art before Banksy and is undoubtedly responsible for more major innovations in stenciled graffiti. However, Banksy is more well known for his confrontational style and creative staging, and many newcomers to the world of street art assume that le Rat copies Banksy’s style.